European, African and Native American cultures. The Attuned: A Moon Cycle Deck is a unique set of 28 cards created by a Canadian artist, Andrea Palframann. The incredibly vibrant and luminous art features Goddess-inspired images from around the world, from India, Europe and Africa and are a self-described “work of heart”, the result of a seven year personal and artistic journey. 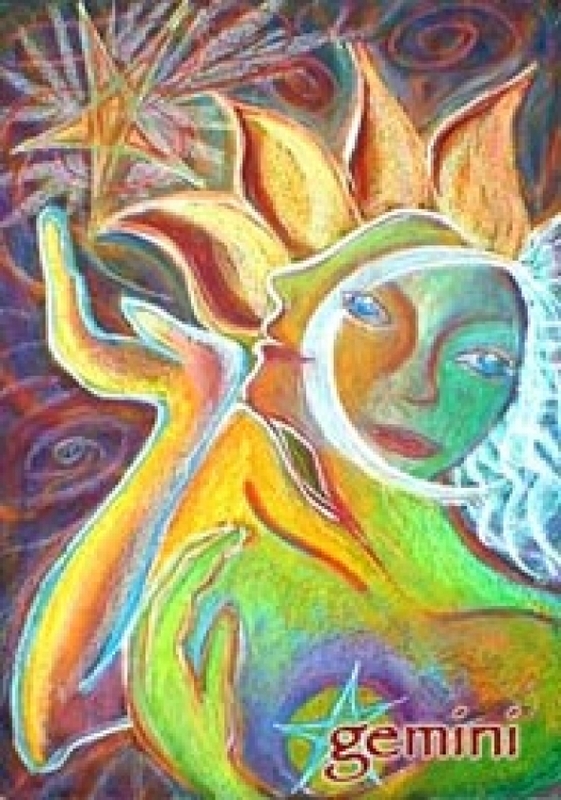 Self-knowing, self-loving, self-aware: To be in balance with one’s self is a sensual experience; to attune your sense to the rhythms and cycles of the moon is to be divinely connected. Let the grin of the crescent moon shine all over your waves. The backs of the cards are pale in colour and have a triplicate design of a lotus and crescent moon. The faces have a solid-colour borders around the pastel-drawn images of various hues – there is no real pattern to the choice of colour. The Attuned: A Moon Cycle Deck is a feminine and female deck of cards that combines Goddess images, primal colours and written affirmations for a joyful experience. I thought it a shame there were only 28 cards – I would have liked to see more of the gorgeous art!